It’s often said that on St. Patrick’s Day, everyone has green blood… now there’s an idea for a horror novel, or at least a paranormal thriller. Apart from knowing it’s an Irish holiday when people tend to drink too much, what else do you know about it? Wear something green so you don’t get pinched. If you do get pinched, it was probably a leprechaun that did it. If you wear a “kiss me, I’m Irish” T-shirt, be ready to be kissed. The potato has always been a staple in the Irish kitchen. French fries are called chips, and potato chips are called crisps. Irish craic (having a blast) has nothing to do with American crack. If an Irish person says let’s have a bit of craic they want to have fun, not do crack-cocaine. The cow was an honored and respected creature in Ireland, and a main form of wealth in ancient Ireland. The little people, fairies and leprechauns, do exist. Leprechauns are the Tuatha de Danann (tribe of the goddess Danu) who moved below ground into the Otherworld when Ireland was invaded. They still come and go, and can bless or curse you depending on whether you amuse or irritate them. St. Patrick (whose name was Maewyn Succat) is the patron saint of Ireland and is said to have brought Christianity to Ireland. The ‘holiday’ has been celebrated for approximately 1,500 years as a religious holiday but only in the past few decades as a party event. St. Patrick is said to have driven all the snakes from Ireland. Snakes stood for wisdom and transformation, and were often associated with the Druids and pre-Christian beliefs that included gods, goddesses and otherworldly beings from other dimensions such as fairies, leprechauns and banshees. Many believe the true meaning of the phrase is that he drove the wise old pagans from the land. Snakes have returned to Ireland, and the old ways are flourishing again. The shamrock is said to have been one of his teaching tools. He demonstrated the three aspects of one God by way of the shamrock. It could have been used to teach of the ancient triple goddess of Ireland, too. Churches were erected on as many ancient sacred sites as possible to lure the pagans to switch over to Christianity. A fine traditional Irish meal is boiled ham and cabbage with mashed potatoes. You can wash it down with Irish beer or an Irish coffee. Respect all trees if you don’t want trouble with an irate leprechaun. If you actually travel to Ireland to celebrate the Green, White and Gold (flag), be careful where you walk! If you fall down a fairy hole it’ll lead you through a portal to The Otherworld and you may never make it back! Perhaps March 17th is St. Patrick’s Day, but being a rebel by nature, I tend to honor all things Irish, including the old ways, on that day. It’s more like “all things Irish” day. 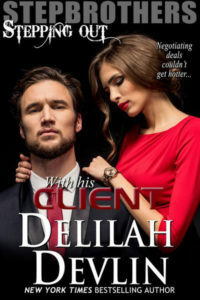 If you’d enjoy a light and entertaining story to stoke your Irish spirit – a novella that will take you into the world I just described, I’ve got just the thing for you! 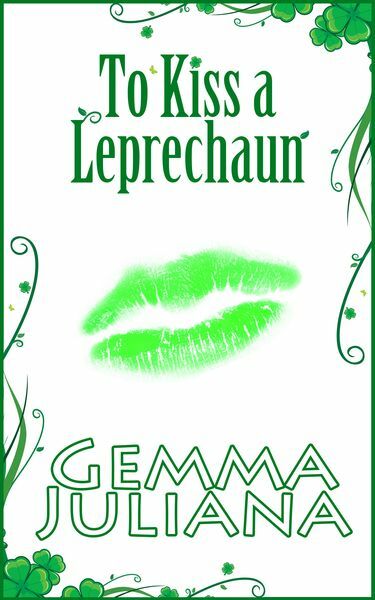 To Kiss A Leprechaun is a grand and magical adventure, a sweet romance that can be enjoyed by all ages. Happy St. Patrick’s Day! Lorcan, Prince of the Leprechauns, has been cursed by an ugly spell for centuries. Every year around St. Patrick’s Day he chooses a village girl to kiss. It brings prosperity and wellbeing to the seaside village of Glen Kisswich. This year Aine Byrne is the lucky lady – not! She doesn’t want to kiss a guy who’s uglier than a toad, prince or not. Besides, she’s got a crush on another guy. What’s a girl to do? Only the kiss of Lorcan’s soul mate can lift the curse. What are the chances he’ll find his true love with a bloodline that blends human, fairy and mermaid? To make matters worse, somebody is determined to stop The Kiss from happening. You’ll find alpha heroes in the Sheikhs of the Golden Triangle series and modern heroes in To Kiss A Leprechaun and Autumn Masquerade. More stories coming soon! 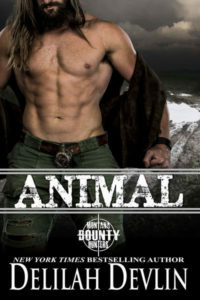 GEMMA JULIANA is a multi-published author who lives in an enchanted cottage in north Texas with her handsome hero, brave teen son and a comical dog who is really a human in disguise. She loves making new friends and hearing from readers. Exotic coffee and chocolate fuel her creativity. She writes romance, mystery and suspense with a splash of the paranormal. Buy Gemma’s books on Amazon. Most are also available on BN, Kobo and Apple.